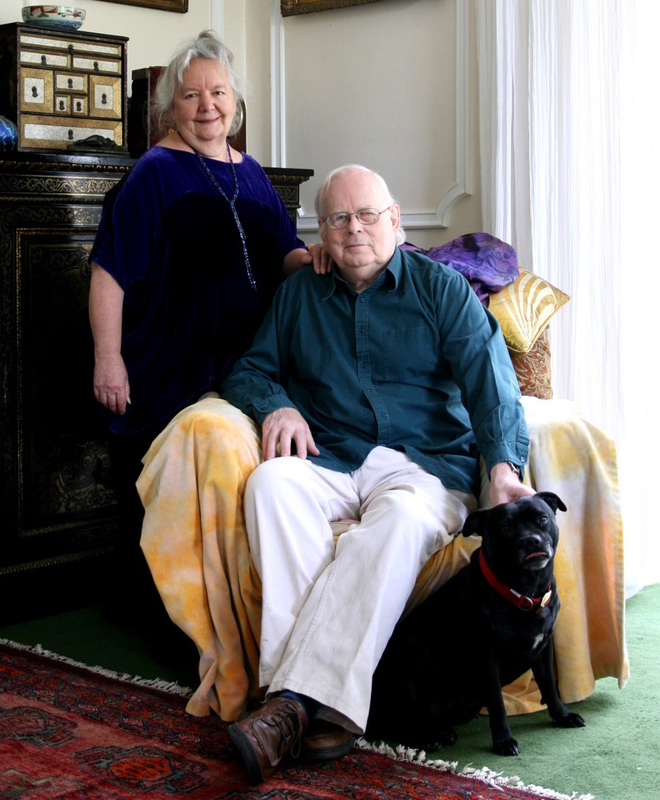 The Gainsborough Bath Spa invites you to hear the behind-the-scenes stories of fashion designers and textile artists, Charles and Patricia Lester. Discover how they chose to carve their own path, creating original pieces that celebrate colour and the individuality of each person who wears their timeless silks outfits. Charles and Patricia will tell of their creative journey and talk about the inspiration around their extraordinary art and how they created a niche business whilst navigating the complex world of the fashion industry. From the early days of making and selling children’s clothes in their local market to being in the extraordinary position of seeing their clothes worn by icons of the worlds of film and opera, on the red carpet as well as stage and screen. They have taken part in major events and exhibitions in some of the most exotic locations across the globe. They are passionate about colour and texture. Each piece of fabric for garments or interior art pieces is hand painted and hand printed individually in their studios in Wales, giving their silks a subtle iridescence emulating the varying tones found throughout nature. Dedicated to a high level of excellence, they have evolved their craft taking traditional techniques and innovating new and unusual ways of treating textiles. As a result, Charles and Patricia’s work has become collectable and prized by museums and art collectors around the world. Their work has been used by famous costume designers for feature films including one that was nominated for an Oscar for the costume designer Sandy Powell. Garments are only available directly from their studios in Abergavenny where they have a large selection from which to choose, or commission a bespoke outfit for those very special occasions. Liberty’s in London are, at present, the only retail outlet. There will be a limited number of appointments available for those who would like to try on something special from the collection. We are also pleased to offer attendees a voucher which entitles them to 20% discount* on any full price purchases made on the day or at the studio for a limited time. This is a rare opportunity to come face-to-face with their collections which will be modelled on the day. You are welcome to join us for what promises to be a very special event. Tickets are £30.00 and include tea, coffee and biscuits on arrival and a delicious 2-course lunch in the 3AA Rosettes restaurant, Dan Moon at The Gainsborough with a glass of wine and coffee to follow. *Attendee voucher terms and conditions - the voucher entitles attendees to 20% off any full price purchase made on the day of the event or at the studio by 30th June 2019. This includes special commission pieces if ordered and an agreed deposit has been paid within this period. This offer excludes sale items or special limited edition items.